With more than 18 of some of the best local and regional breweries represented and over 40 pours of seasonal craft brews, Westoberfest is sure to impress in its inaugural year. Check back in the days leading up to the event for information on what each brewery is pouring! 212 Brewing Company is a Manhattan based premium lifestyle beverage brand, named after New York’s area code, perhaps the most recognizable area code in the world. 212 Brewing Company is dedicated to representing, celebrating & sharing the rich history, robust culture and vibrant energy of New York through innovative and locally brewed beers, offering a diverse variety of styles and unique taste profiles while forming connections through the brand that are reminiscent of New York. Proudly inspired by a person, place or era in New York’s history. They believe in local commerce and local sourcing, from talent to product ingredients. The word Aspetuck can be translated as "river originating at the high place" in an Algonquin language. The water that serves as the base for our beers comes from the Aspetuck watershed, fed by the Aspetuck River in the hills of Redding and Easton, Connecticut. The river is one of the cleanest in the state and produces exceptional brewing water that allows us to brew fantastic beers across many different styles. To Aspetuck, good beer is elementary. They take a scientific approach to the brewing process, respecting heritage and classic styles, while pushing the boundaries by embracing a healthy appetite for experimentation. Above all, they believe in fresh, local and flavorful beer of the very best quality. They are having fun brewing up the future in Black Rock as the first brewery in Bridgeport since 1940! Back East Brewing Company is a Craft brewery located in Bloomfield, CT. Founded by Tony Karlowicz and Edward Fabrycki, Jr., two cousins with a passion for great-tasting, high-quality beer, Back East opened their doors in July 2012 and is now distributed throughout Connecticut and Western Massachusetts on draft and in cans. 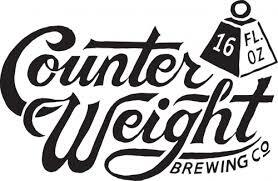 The goal of Counter Weight is to continuously honor long-held brewing traditions while exploring new and innovative methods to highlight each ingredient and delight your palate with every sip. They delve into passion projects focused on wild yeast and wood aging, while continuing to evolve the definition of what a big, flavorful, hoppy beer can be. From beautiful, rustic Belgian ales and refined, sturdy German lagers to bright, hop-forward American IPA's, they will venture on an exciting odyssey of brewing. A small-batch brewery serving music-inspired beers in Stratford, Connecticut. To us, the significance of these local peaks encompass a sense of adventure and mystery, as much a real place as a Hanging Hills of the mind. At Hanging Hills Brewing Company, our beers embody both a sense of adventure and mystery. Our beers will be canned so you can take them with you. Hanging Hills Brewing Company, Come Out and Play. Lock City was popular throughout the late 19th and early 20th century because of the Yale & Towne Manufacturing Company. Founded in 1869, Yale and Towne was an innovative producer of locks. By 1892, Yale and Towne employed approximately one-fourth of Stamford's population. In its heyday, Yale and Towne took up the entire area between Pacific, Henry, Canal, and Market Streets in South End. The company left Stamford in the 1950s and the Lock City nickname began to fade from usage. Today, the area is under redevelopment, home to the original Yale and Towne buildings that have been. The first batch of Long Trail Ale® rolled off the line in 1989. Back then the brewery—known as the Mountain Brewers—was a modest brew house tucked into the basement of the Old Woolen Mill in Bridgewater Corners, with the goal to brew an affordable, American-made alternative to the pricey German and English exports that filled the shelves. At the time, the craft brewing industry in America was on the rise and Vermont was better known for maple syrup than beer. In 1989, Long Trail Ale® hit the taps at local watering holes; blazing the trail for Vermont's craft brewing industry. Two individuals, Dan and Kevin, both always wanted to start their own small business from as far back as they can remember. Dan and Kevin met in college, became great friends, and discovered a common passion in beer, its subtleties, complexities, and endless variety. As their passion and interest for beer grew, Kevin and Dan began to brew their own beer to learn as much as they could about the brewing process so they could create some awesome brews of their own. In the spirit of “doing what you love,” Kevin and Dan decided to make beer their mission and open up a brewery together, allowing them to share their unique creations with the rest of the world. As it was on that fine day…NO WORRIES BREWING COMPANY was born! Vermont's Otter Creek Brewing Company has been hitting, hopping and dosing brews with creativity since acid-wash jeans were hip. Following the addition of a state-of-the-art brew house and more canning capacity, the OCB Crew is continuing down the path of innovation, throwing a bit of kind into the kettle whenever possible. OCB's hop-soaked ales and lagers are available throughout the Northeast and mid-Atlantic regions. The reason TROEGS likes to use local ingredients is because they are easily accessible and they can see the ingredients at their source. They really do dig getting into the fields and tasting the ingredients, and bringing them to life in either beer or food. Tess & Mark Szamatulski have owned and operated the home brew and wine making supply store Maltose Express for 24 years. Each day they share their decades of award winning beer and wine making experience with new and long time customers from all over the United States, and around the world. Their newest venture is Veracious Brewing Company which opened on June 8th, 2015 and is located adjacent to Maltose Express at 246 Main Street in Monroe Ct. Their goal is to brew world class beers for local people. The name Veracious refers to the brewery’s mission to produce honest, well-crafted beers made with quality ingredients.